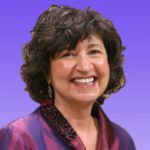 Amalia Starr, (founder & CEO) developed a personalized interactive teaching and active learning method to help professionals and parents of children with special needs to live independently. This method was discovered while helping her own son, Brandon, live his dream of independence. She has been working with special needs parents for the past ten years implementing and utilizing these techniques so every child will have the opportunity to advance to his or her full potential. What your children are able to achieve may surprise you as Amalia was certainly surprised by her son. It was a Tuesday morning, I had made plans with Brandon, and I felt as if I was coming down with the flu. I wanted to call and cancel but I just couldn’t do it, knowing how difficult it would have been for him. As many of you know, children with autism like having routines, they are extremely important to them, they are often set in stone, and my son was no exception. So, I decided to meet Brandon and take him out to do all his errands. That was when something magical happened. As soon as he got into the car I told him that I did not feel well and that I would need his help. Up until that day, he needed my help often and I received very little from him. When I told Brandon I did not feel well I could see that he understood by his quick response, “Okay mom I can help you,” he said. We went to do all his errands together but that day was anything but usual. Everything I asked him to do he did willingly. That was a monumental shift. It was true that I didn’t feel well but it was his ability to grasp that, which amazed me. I never thought he could, because he had not shown any type of emotion or empathy in the past. Many autistic children have great difficulty showing their feelings and I always knew he felt things, but he didn’t know how to express them verbally or emotionally. From that day on, I changed my approach with Brandon. Over the years, this technique continued to develop and so did my relationship with him. I started to include him more with decision making and asking for his help on various things. I could tell he really liked it. He told me, “I don’t feel like a baby anymore Mom, I feel more mature”. At that point, I began to treat him more as an equal. That day changed our relationship forever. To think that my feeling ill would have been the breakthrough I had been searching for all these years! One never knows when something like that is going to happen. When interacting with real every day problems and issues, true knowledge and understanding can evolve. When our children become involved and are included in helping us out, or aiding us to find a solution to a problem that involves them, it changes the dynamics. You may think your special needs child may be incapable of doing what you ask of him or her but the more I asked of my son, the more he gave. He was able to meet challenges that I thought he would never be capable of reaching. At the beginning, I was very surprised but extremely encouraged. I continued to use this technique and it worked for all the years he lived on his own. I watched Brandon continue to change and grow. He became less needy and less dependent on others. He made great strides when people changed plans on him, even at the last minute, he no longer took it personally. As he continued to mature I decided to step back and give him more room to grow, and I saw him less frequently. That in itself was another monumental step for us both. This technique was working so well that I began to share it with my clients. Many of their children had experienced similar positive behaviors. Parents were pleased and encouraged by the results. As it turns out, this was just the beginning as this technique eventually developed into a training program. Now through AIF we are bringing this program out into the world. We are excited to share this proven step-by step method with you and your families.